Want to know how Twitter has reacted to Taylor Swift’s latest release? In this post we analyze the repercussion her marketing strategy has had on Twitter. We even compare it with #AvengersEndGame. Keep reading this post to know more! Social Media Analytics are essential for any company and brand. This Beginner’s Guide will help you to know more about this concept and to learn how to obtain Social Media Analytics. Keep reading to learn more! 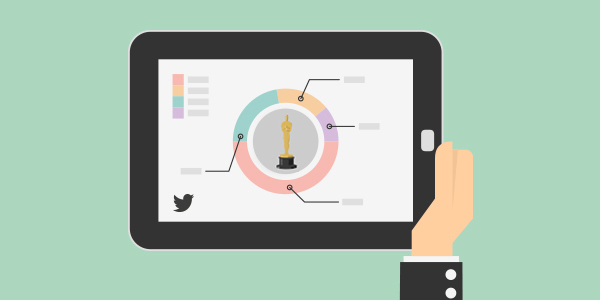 We have analyzed the tweets shared with #Oscars or #Oscars2019. Do you know which is the most important tweet shared during this year’s award show? We do! Keep reading this post and learn more about the Oscars 2019. The Brit Awards drove Twitter crazy. We have run a real time Twitter report to find the most popular tweets from the winners and the performers. Keep reading this post and enjoy! Twitter hashtag analysis: User rankings and more! Finding your audience and knowing who they are and what they want is a key to success. Tweet Binder will help you to discover your users in order to create the perfect marketing campaign. Twitter is the perfect place to go and see everything happening around any award show. Last night the BAFTAs took place in London. Keep reading this post and discover how Twitter behaved during this magical night. Which tweets are the Twitter #GRAMMYs winners? Have you read tweets about the #GRAMMYs? Do you know which tweets are the most important? Let’s clear any Twitter doubt we may have about the latest #GRAMMYs with this post. Do you want to know how to keep track of the most popular accounts on Twitter? Tweet Binder can help you with that! With our historical or real time Twitter reports you will be able to detect what is being said about any account and who is tweeting about it. Keep reading this post to learn how. Social listening platforms are very useful to track the activity around a company or a product. Before choosing one, you need to know exactly what you need to track. In this article we will go through the different steps to choose a social media tracking tool. The #SBLII was an amazing event and users used Twitter to send millions of tweets. The @NFL used the hashtag #SBLII and tried to drive the traffic by sending dozens of tweets with exclusive content. We analyzed how users tweeted during the game and which hashtags were used the most during, before and after the game. Getting to know Twitter metrics is crucial to value campaigns and trends. The impact and the reach are two main statistics. They allow us to understand the potential number of users that could have seen our search or the potential amount of time that it could have been seen. Let’s see how we calculate these numbers and why we need to understand them. To count the number of tweets of a Twitter hashtag can be very hard. Thanks to tools like Tweet Binder we can know the number of tweets of any hashtag in a few seconds. There are two types of tweets: original tweets and retweets, the report will give us the total number including both types. The advanced search on Twitter is really useful to delimit our results easily. Discover how to analyze hashtags, search for tweets by date or choose accounts and languages with this Tweet Binder guide and make out the most of your Twitter Analytics.